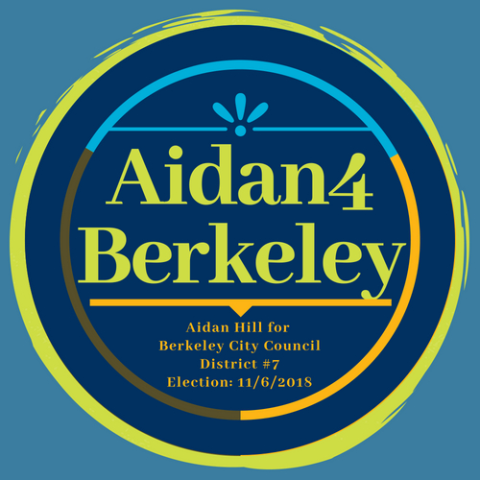 Thank you for your interest in our campaign, Aidan Hill for Berkeley City Council 2018. If you have a question, concern, or would simply like to get in touch, please contact us below, via email: Aidan4Berkeley@gmail.com or social media @Aidan4Berkeley. To reach our campaign directly, please message us via facebook messenger below: ​ Message ​ Its thanks to people like you that have given Aidan a platform to speak truth to power. Would you consider donating to help us with our fundraising efforts? Please direct all press questions to Ari DV at aidan4berkeley@gmail.com.